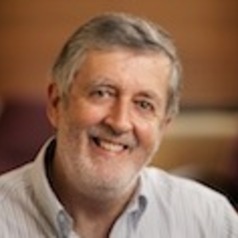 Professor Gill is a Fellow of the Academy of the Social Sciences in Australia. He joined the Department of Government and Public Administration in 1981, accepting a Chair in 1990. He has been Associate Dean of the Faculty of Economics, Deputy Chair of the Academic Board, Acting Pro Vice-Chancellor (Research), and Head of the School of Economics and Political Science. Graeme Gill has been a visiting Fellow at the London School of Economics and the Moscow State University. His major research interests centre upon communist regimes and the theoretical basis underlying these regimes. His most recent research is on political change in the former Soviet and East European regions. His publications include: The Origins of the Stalinist Political System, The Collapse of a Single Party System, Power in the Party (with R. Pitty), The Dynamics of Democratization, and Russia's Stillborn Democracy? (with R. Markwick).